Thirty-one years ago, Whitworth alumnus Pete Hunner, ’76, and his wife, Maibritt Jonsson, established Baltic Sea Glass on the Danish island of Bornholm. Since then, their studio has flourished, hosting between 80,000 and 100,000 visitors annually. 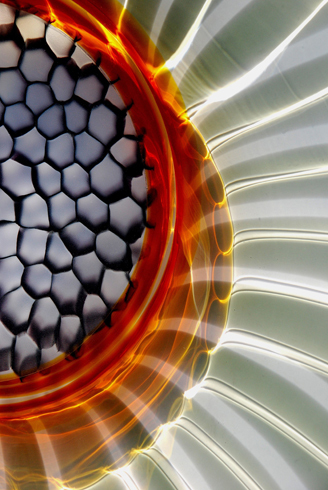 Hunner and Jonsson's company is based in the design and production of functional tabletop glassware, and they create unique works for gallery and museum exhibitions throughout the world. Their glass sculptures have achieved international acclaim and were featured in the personal collection of the late Queen Ingrid of Denmark. Visiting Baltic Sea Glass studio is an interactive experience. Jonsson and Hunner not only display their glasswork; they create it in front of visitors, as well. After graduating from Whitworth with degrees in art and political science, Hunner studied ceramics and glass at Copenhagen’s School of Applied Arts, where he met his wife. He worked at a glass studio as a summer job, and he says that this position was the point at which he knew where he was going with his life. 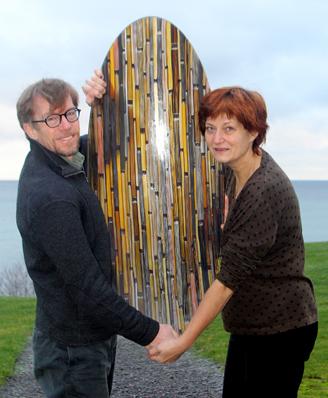 In 1997, he and Jonsson were in the founding group of Bornholm’s Glass and Ceramic School. Today this school is a part of The Royal Danish Academy of Fine Arts, School of Design. During his time at Whitworth, Hunner studied under and was mentored by Pauline Haas, who is now an associate professor emeritus of art. Hunner remains close to his mentor, having flown back to Spokane to visit her just last month. Haas retired in 1986 after devoting 20 years to the Whitworth art department. In 2003, the couple wrote and published Jonsson & Hunner: Artisans of Light through Bornholm’s Kunstmuseum. The same year, Hunner gave a presentation at Whitworth on his and his wife’s glasswork. The book, though out of print, is available for checkout in Whitworth’s Cowles Memorial Library. To learn more about the Baltic Sea Glass studio, visit www.balticseaglass.com.